← Is your budget a forecast? When do you change mid-course? 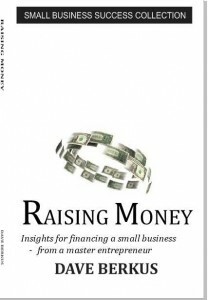 The subject of raising money is critical to many businesses and a passing option to others, depending upon the capital efficiency of the enterprise. Some businesses require very little capital and the founder can self-finance the enterprise and retain 100% of its ownership and control from ignition through liquidity event (startup through sale). For you who fit that description, nice work. For the rest of us desiring to build large, valuable enterprises quickly, the need for outside capital is high on our list of requirements and even the source for some sleepless nights as we worry over the availability and cost of capital. 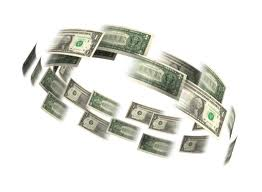 It is for this group that we explore the implications implicit in raising money for growth. It might be useful to list some of the ways in which you can raise money for growth with and without outside investors. [Email readers, continue here…] Bootstrapping: This term describes your ability to start a business with little investment and grow it using internally-generated funds. Certainly, bootstrapping is a preferred method of funding growth if it does not hold back the speed of growth or hobble the quality of product or service to the extent that better-funded competitors can overtake the business. There is a lot to say about retaining control. You will realize much more from the ultimate sale of your business even if at a considerably lower price than if splitting the proceeds with investors. You will have more control over strategy and execution than with an outside board overseeing planning and performance. But few businesses grow into the sweet spot of $20 million to $30 million in worth to an ultimate buyer without the injection of outside capital. composed of these investors and management. However, most often, these funds are solicited by a well-meaning entrepreneur from investors who are not qualified as accredited investors under the law (currently requiring a proved income of $200,000 a year or $1 million in net worth for an individual investor). I’ve arrived at a significant number of companies that were looking for additional growth capital after a “friends and family” round, and had to “clean up” the cap table more than a few times over the years. Taking this kind of money has a number of pitfalls you should be aware of. It is most common to greatly overprice such a round of financing, valuing the enterprise well above what it may be worth at the moment for friends or related investors who do not have the sophistication or willingness to challenge the valuation. When professional investors look at such overvalued prior investments, they may refuse to become involved with a company, knowing that there will be, at the very least, universal disappointment and anger from prior investors when a new round is priced lower than the earlier friends and family round. Sometimes this money is just too available and the risks seem so far away; so, an entrepreneur will take the money and put off the worry over the eventual consequences, all in the hope that no more investment will ever be needed and everyone will be richer for the effort. Using your bank credit line and credit cards: Even with the credit crunch signaled by the recent recession, many banks will issue business credit cards with a $50,000 limit if the entrepreneur is willing to personally guarantee the balance, and has the net worth to do so. And even with the significant cost of credit card debt, many entrepreneurs aggressively use existing cards to finance a startup. It’s an option, even though an expensive one. “Strategic partner” investors: If you can find a strategic partner willing to invest in your enterprise, consider it a blessing. Whether the partner is a supplier looking to gain a lock on your business as it grows or a customer looking to create a competitive barrier through use of your product, such an investment typically carries fewer restrictions than from a professional investor and less oversight. Better yet, the valuation of your enterprise is often higher than if the same investment were taken from a professional investor. Strategic investors validate a business, by their presence creating the very value they pay for with increased price per share purchased. It is most often a win-win for both you and the strategic partner. 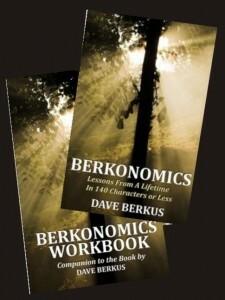 More on raising money in BERKONOMICS book, also available on Amazon.com. months from introduction to investment. Yet, professional angels are usually willing to take active board seats in a young enterprise and act as cost-free consultants to the CEO-entrepreneur, giving freely of their individual and collective years of experience, often in the same industry as the investment target. Do not expect grand valuations of your enterprise from these professional angels. They have been burned too badly during the last decade by overvaluing businesses and finding themselves like friends and family, “stuffed” into a down round of lower valuation when a company takes its next round of financing from the next step, venture capitalists. Professional angels, often organized into groups, usually invest from $100,000 to $1 million in a young enterprise. Accelerators: This relatively recent combination of coach and limited investor is available to some early stage businesses, usually in major cities, and requires that the entrepreneurs spend from weeks to months being coached by the accelerator team. In return, the accelerator often invests $25,000 to $100,000 in the young enterprise and takes from five to ten percent of the equity in return. At the conclusion of the acceleration period, the company participates in a “demo day” in which institutional investors are invited to review the company in a live pitch session. Many accelerators have come and gone during these past five years. Several are well-known and professional investors pay special attention to their graduates. These include Y-Combinator and TechStars, among others. Venture, private equity and more: Here we lump a large number investor classes into one. Venture capital comes with a cost, and there are no bargains for the company when taking such an investment. VC’s value an enterprise lower than others might at the same stage of investment, always aware of the need to create opportunities for “home run” profits at exit, since over fifty percent of their investments typically are lost when companies die before an opportunity to sell to others. Further, as a class, VC’s have not done well for their own investors over the past decade with the exception of several first-tier entities, making it doubly important to fight for low valuations and high profits at exit. VC’s do not even engage in discussion with most of those entrepreneurs seeking capital. By some estimates, 95% of contacts are ignored unless they come as referrals from trusted sources such as known lawyers, accountants or fellow VC’s. And just for measure, VC’s fund less than 2% of all deals they do investigate. Typical VC investments begin at $2 million and quickly rise to $5 million and above, depending upon the size of the fund and stage of investment. Terms are much more restrictive than from strategic or angel investors, often requiring the entrepreneur to escrow his or her founder stock for a number of years to prevent the founder leaving, and restricting the sale of prior stock without the VC also being allowed to offer a share of its holdings in the same sale. Micro-VC’s are a recent class of venture investors, often with smaller funds, and willing to invest from $1,000,000 to $2,000,000 on average, filling a gap between professional angels and VC’s. Private equity investments are available from firms created for this later stage opportunity, but typically are available only for businesses that have achieved revenues well above $50 million. Often private equity investors will want control of the business as well. Bank lines of credit are often available to businesses that are profitable, most often personally guaranteed by the entrepreneur, but available at a cost in interest less than most any other source. Small Business Administration (SBA) federally-guaranteed bank loans are becoming available again after years of limited activity. With some restrictive provisions, these loans are favored by many banks as carrying much less risk than loans without the guarantee. But it is the outside investor that validates a business, often influencing growth with shared relationships, experienced guidance and providing a gateway to needed resources. In the next weeks, we will investigate several insights that relate to theses money resources, all to help you to determine what is right for you, and how to prepare and succeed in securing funds. This entry was posted in Growth!, Raising money. Bookmark the permalink. 1 Response to Does your business need money? Read this! This is a wonderful explanation of the various sources of financing. It makes me think again starting a new company. You may have covered this in a prior article that I missed, but from my So Cal Ten days, I remember an advocate for the concept of “Better than Money”. Best wishes and thank you again for the continuous education.